I’ve been wanting to make something for my boys. While in the fabric store, looking at all the cute fabrics for kids, I came across a couple of great patterns that I thought would make fun pillows for the boys. I had intended to just make rectangular pillows – nothing fancy. Recently while feeling quite sick, crashed out on the sofa, I was thinking about getting the pillows done, but wasn’t very inspired by my plain, rectangular pillow idea. So while I wasn’t feeling well, I made a plan for cooler pillows. 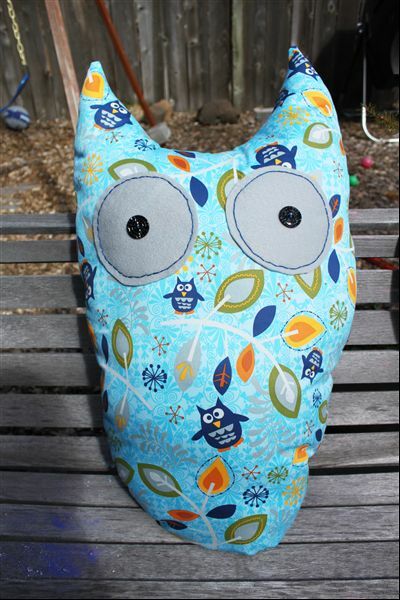 I had two different fabrics – one was a space-theme & the other was owl-themed. 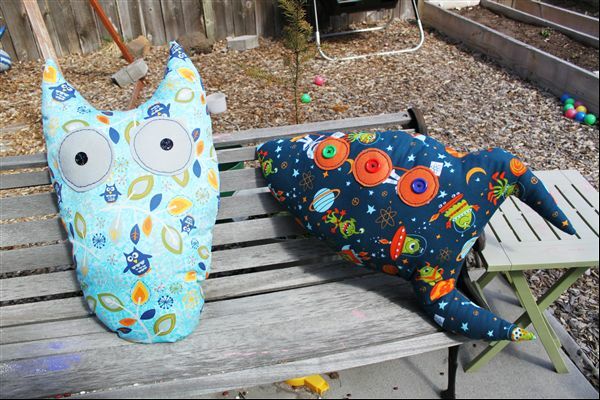 I decided to make each pillow a simple shape related to the fabric – a rocket ship & an owl. So I drew the shape & cut out the fabric & added a bit of felt & button embellishment to each pillow. Windows for the rocket ship & eyes for the owl. 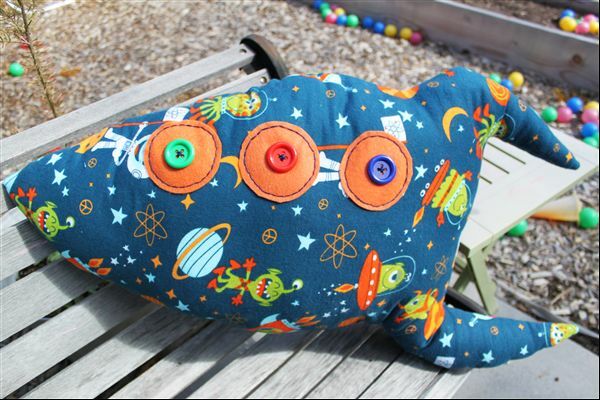 Then I sewed it all together & stuffed them & I think they turned out super fun. They are quite big so they will be great lounging around pillows for the boys. Categories: Creativity | Tags: crafts, pillows | Permalink. Cute! I really need to do some more sewing. I’ve got a stack of “to do”s. I love the simplicity of a fun pillow project like this.